We are experiencing a global military spending bubble that appears to be recession proof. Data from the Stockholm International Peace Research Institute shows that annual world military spending reached US$1.6 trillion in 2010. This represents 2.6% of world gross domestic product (GDP), or approximately $236 for each person in the world. The United States accounts for 43% of all global military expenditure (that’s 4.8% of its GDP), followed by China with 7.3% of the world’s share. The high levels of military spending reflect current foreign policy objectives and real or perceived threats beyond just terrorist attacks by Islamic jihadist groups such as Al Qaeda. A series of global security threats are best spelled out in the 2010 report from the US Joint Forces Command, and include food and energy security and climate change. With specific reference to peak oil, the report argues that the “implications for future conflict are ominous, if energy supplies cannot keep up with demand and should states see the need to militarily secure dwindling energy resources”. Authors of the 2010 report are also concerned that an energy crunch would prolong the “US recession which could lead to deep cuts in defense spending (as happened during the Great Depression). Joint Force commanders could then find their capabilities diminished at the moment they may have to undertake increasingly dangerous missions”. It is no coincidence that China became the second largest military spender from 2008 onwards and the second largest consumer of oil from around 2003. China looms large as a competitor with the US for dwindling energy supplies. Oil drives our modern economies. Without cheap oil our economies splutter and go into recession. The military of every nation on the planet must be well aware of this fact. The US military and various associated think tanks have expressed increasing concern over the past decade about the US’s vulnerable dependence on oil. The US is the largest consumer of oil on the planet and the military is one of the largest oil consumers in the US — 340,000 barrels per day or 1.5% of all oil used, costing approximately US$13.6 billion each year. In 2006, worried about rising oil prices, the US Department of Defense established a Defense Energy Security Task Force that quickly published a report with the aim of reducing fuel intensity and increasing combat capability. One year later, in September 2010, Neil King Jr. at the Center for New American Security (CNAS), an “independent and nonpartisan research institution”, authored a report entitled Peak Oil — A Survey of Security Concerns. He argued that the threat of systematic oil supply shortages has been “strikingly slow to seep into official thinking in Washington”. The one exception is the Oil Shockwave simulations that have been organized from 2005 onwards by the Securing America’s Future Energy (SAFE) group that brings together some of the country’s top corporate and military leaders (mostly retired). Videos of the 2005 and 2007 simulations and the very frank discussions between the participants are viewable on YouTube, but with surprising few views for such an important topic. Other groups have entered the fray as well. The Pew Project on National Security, Energy and Climate is an important example since it highlights the critical linkages between national security, energy independence, the economy and climate change. Most of these studies quote current US Secretary of Defense Robert Gates when he said that “every time the price of oil goes up by 1 dollar per barrel, it costs us about 130 million dollars”. If as a result of an oil crunch the price of oil jumps from US$100 per barrel today to nearer US$250 the implications for military expenditure would be enormous. The oil dependency trap manifests in many forms including the need to protect oil producing allies, cope with oil producing countries with malign intentions, protect energy supply lines (particularly the numerous oil supply choke points), cope with rising fuel prices and shift away, as quickly as possible, from petroleum use by military units. A sense of urgency is captured in the September 2010 CNAS report entitled Fueling the Force — Preparing the Department of Defense for a Post-Petroleum Era, and echoed in a similar April 2010 study by the Pew Project entitled Reenergizing America’s Defense as well as the May 2010 report from the Progressive Policy Institute entitled Cutting the Tether – Enhancing the US Military’s Energy Performance. This CNAS report calls upon the Department of Defense to ensure that it can operate all of its systems on non-petroleum fuels by 2040. While thirty years may seem like a long time, it is important to recognize that the development and deployment of a new vehicle, aircraft or weapons system can take at least a decade. So a transition to a post-petroleum military may just be possible if efforts begin immediately and are wholesale. In the peak oil community we have heard this kind of talk, urging immediate action, many times over with the best-known example being the Hirsch Report of 2005 but maybe, if anyone can put action to words, the military can. Nevertheless, to some degree the military thinks tanks that raise the peak oil issue have yet to be taken seriously by political leaders. For example, just this week the UK Industry Taskforce on Peak Oil and Energy Security finally, after a couple of years of lobbying effort, managed to get a senior minister to agree to begin working on a peak oil threat assessment and contingency plan. But looking at this issue from a historical perspective, Joerg Friedrich at the University of Oxford reminds us that we have been here before. He looks at the disruptive social and political consequences of energy scarcity in the past. Most people who are aware of peak oil point to the way Cuba responded in the 1990s to the oil embargos as illustrative of how countries can adapt through what Friedrich describes as the “mobilization of local solidarity”. In this case, Cubans were able to take advantage of local community resilience to overcome fuel and food shortages. To some degree, we witnessed a similar level of solidarity in Japan following the 11 March 2011 triple disaster. However, Friedrich is more concerned about two other historical reactions to energy scarcity — what he describes as totalitarian retrenchment (e.g., North Korea after the collapse of the Soviet Union) and predatory militarism (e.g., Japan prior to World War II when its oil supplies were disrupted by sanctions from the US). The greater challenge facing militarily powerful countries, therefore, would be to avoid slipping into either a totalitarian or militaristic response to a future energy crisis. The question we all have to ponder is whether this can be done or are we doomed to repeat our historic follies? Militaries Have Peak Oil in Their Sights by Brendan Barrett is licensed under a Creative Commons Attribution-NonCommercial-ShareAlike 3.0 Unported License. Why Are Climate Scientists Ignoring Peak Oil and Coal? I fear not only oil and other fossil fuels but also water and other natural resources are becoming on the verge of irreversible exhaustion for the most populous and resource-hungry countries are now aggressively seeking their necessities outside their boundaries to maintain their economic development and keep people simply fed. With the strong economic and military power, these countries easily negotiate with peripheral countries and make contract to exploit their resources. No other countries, without equivalent force, can say No to the countries. In history many developed countries have done exactly the same so that it is not fair just to point out the emerging economic and military giants. However, the size of exploitation is peerless and unprecedented. The environmental alarmist’s calls could be becoming real at unmatched pace under these circumstances. In near future, revisiting lucrative manufacturing based economy and finding feasible alternatives would occur, I hope. Thanks for your comment. You are right, it may not be fair to point to just the major military powers as a source of concern, since historical trends show that countries of all sizes exploit those weaker than themselves. The main point of this article, however, was to highlight how vulnerable military power is in relation to oil depletion. Under the current circumstances, the ability to conduct trade across the globe is in many respects possible due to the ability of major powers to project control over large parts of so called common space, such as the oceans. Fuel shortages and increasing fuel prices would result in tougher decisions of what missions are possible and what are not. Fuel would become a resource that you would not wish to squander. At present, it is viewed as unlimited by many and hence all missions are possible, but this could change in the not too distant future. Great read! Especially enjoyed the videos on the Oil Shockwave scenarios. It remains to be seen whether the military can transition its fleet to biofuels (and other renewable sources) before prices wreak some havoc on their ability to invest R&D, let alone carry out their missions. It appears the budget deal may cut back on much-needed funds. 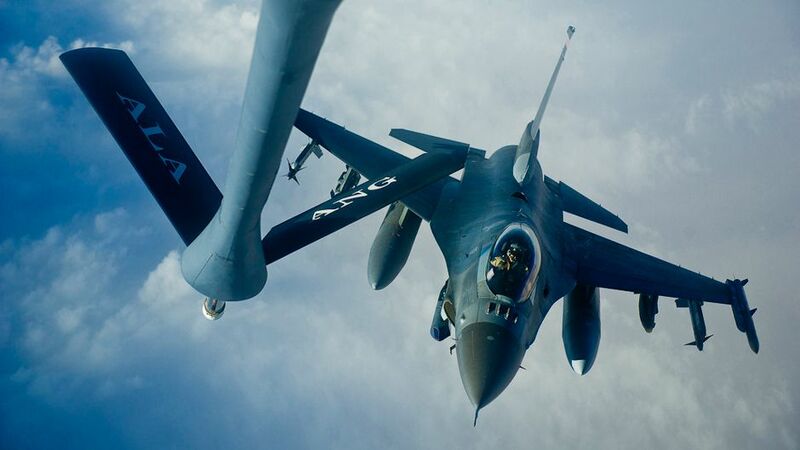 One area where the military is accelerating the market is aviation biofuels. Although it will likely be a decade or so before we see meaningful market penetration, DESC has been coordinating with the commercial aviation sector in the United States to scale-up supply. Thanks for your feedback, Mackinnon. Yes, the Joint Operating Environment report expressed concern that budget cuts could undermine the military’s ability to make the required transition away from their current extremely high dependence on oil. So it is important to watch how the cuts play out. In the past, it is also interesting to note, many military innovations have subsequently driven changes in the commercial sector (where would we be without GPS!) and it would be unfortunate if R&D expenditures were further eroded. The adoption of biofuels at such ambitious levels is also an important development, but perhaps not sustainable in the longer term, although I would be interested to know how others think about this issue.